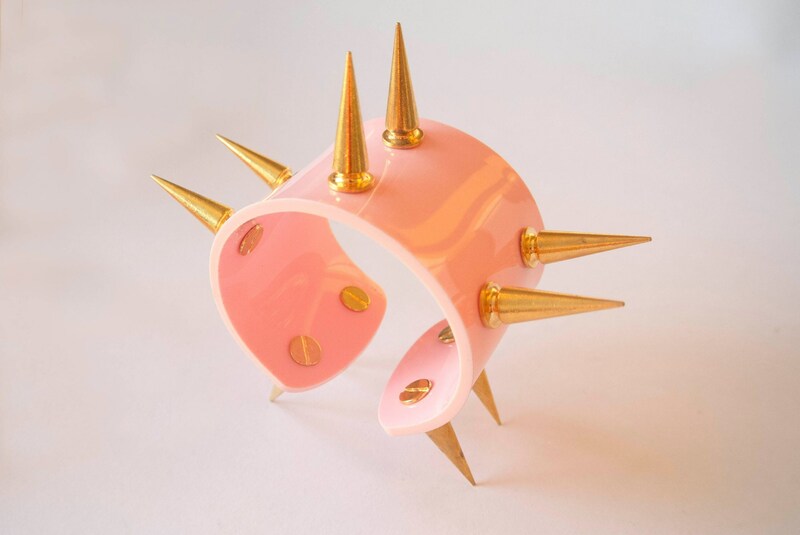 Candy pastel pink cuff with two lines of 3cm spikes. 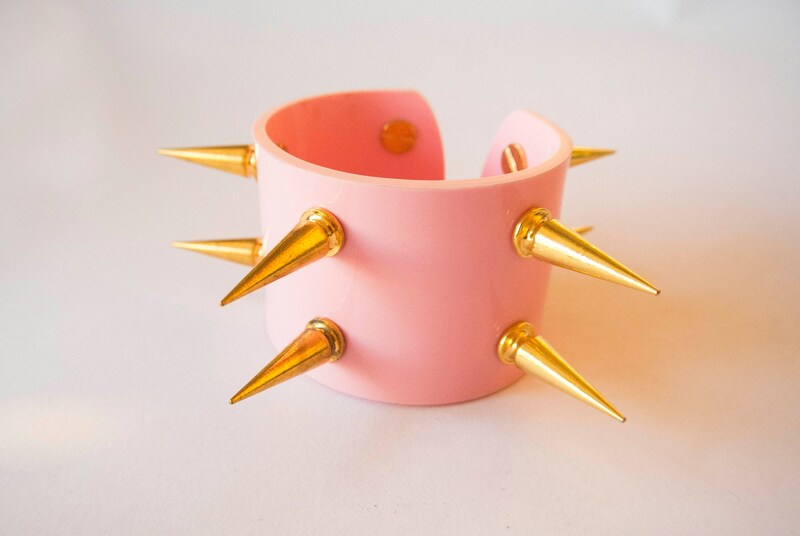 'Aint no one gonna mess with you with this around your wrist honey. 6.5 x 5.5 cm wide, but I can make them larger or tighter for that gorgeous wrist of yours.